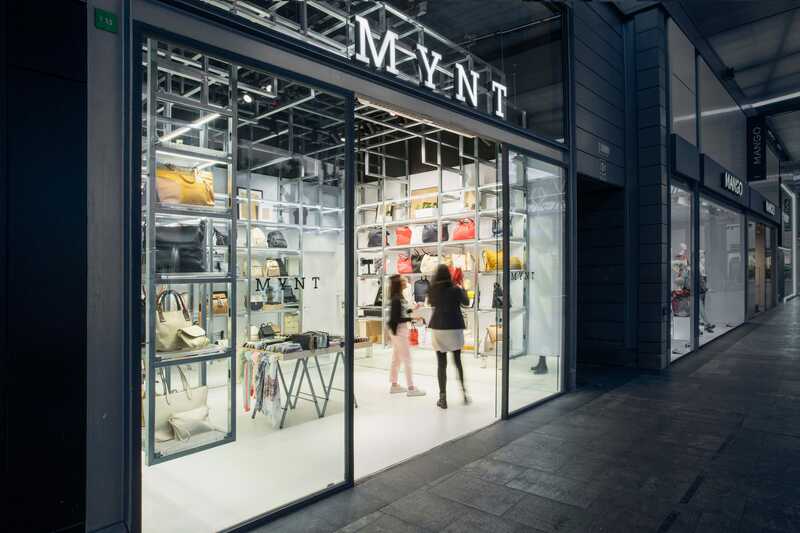 deardesign reinvented the first concept of Mynt’s flagship store, by keeping the essence of the design spirit but with a total new look and feel thanks to the usage of new materials for their second store, located at SPLAU shopping center in Barcelona. The aim of the design was to create an iconic space where to reflect the fresh and cosmopolitan brand values. 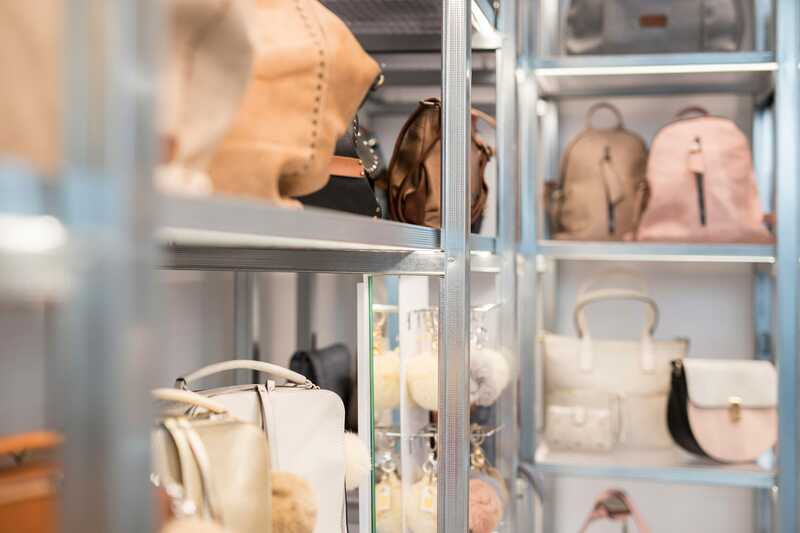 Following the thread of the first store, the concept had to be adaptable to any future property and versatile when displaying the product. The design also would be built rather quickly and under a moderate cost. 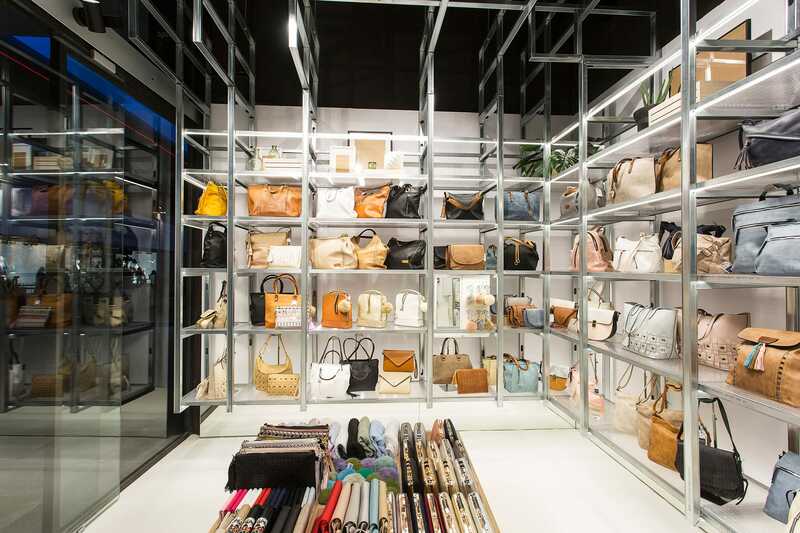 To reach this goal, we designed a dazzling and open store. 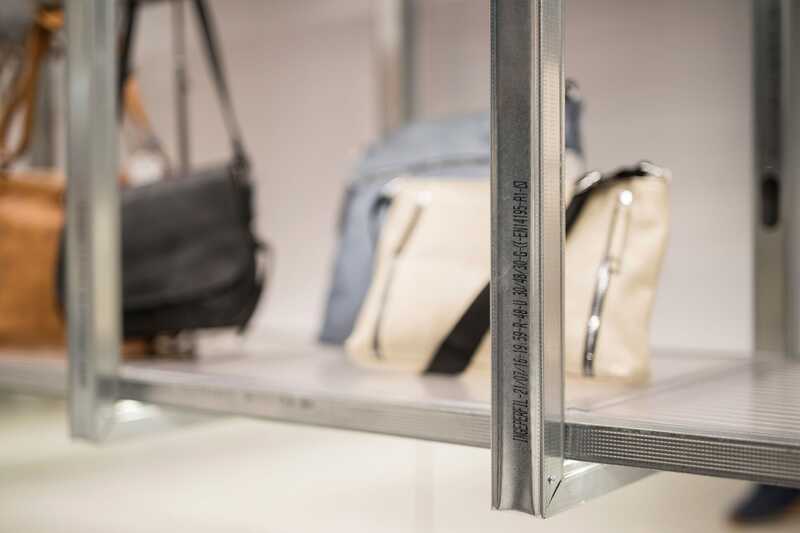 Despite the rigid and orthogonal look of the structure, it solves the flexibility challenge of product display. The design concept is based on a three-dimensional grid inspired by the Fibonacci sequence, creating a variable rhythm in a permeable volume, and ordering the space through the generation of niches to exhibit the product along its perimeter. The structure is conceived with the entire use of a single element, chosen for its building possibilities, as well as for its lightness and affordable cost. Bare plasterboard structure profiles are used for a new purpose. When being fitted, folded and screwed together, they work as studs, shelf supports and slots for recessed lighting. Linear light acts as a compositional element which enhances the rhythm of the grid and also highlights the steel structure. 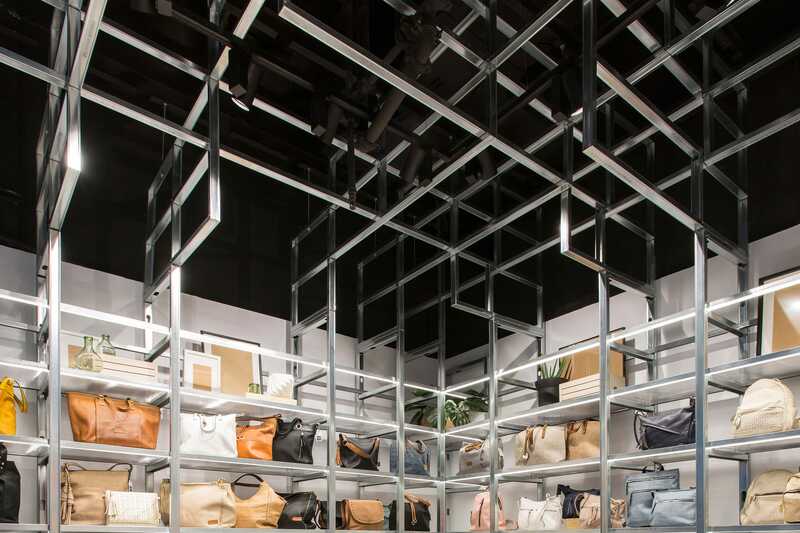 In order to gain visual lightness and amplitude, the entire perimeter grid of the store is suspended. A mirror placed at the lower perimeter stripe emphasises this effect, reflecting the continuous pavement and causing a perception of the store running beyond its limits. 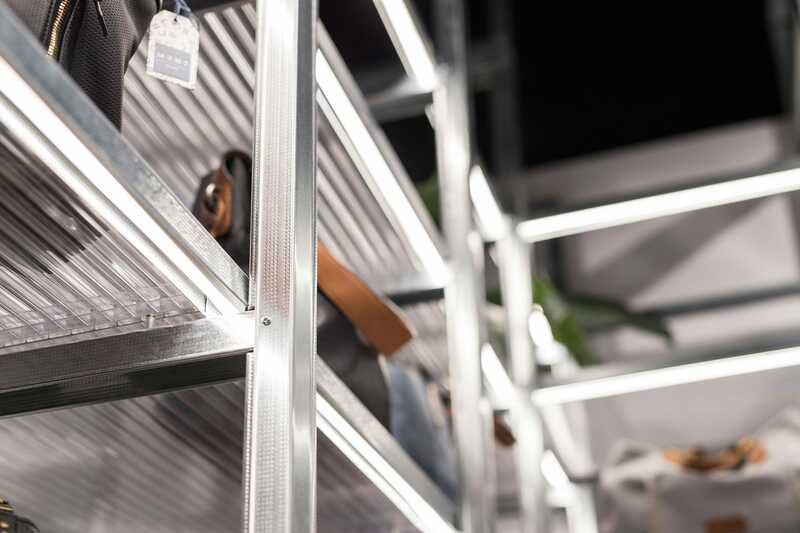 The cellular polycarbonate is the ideal complement to create the shelves. Through them the light can pass through and the product is therefore well enlightened. 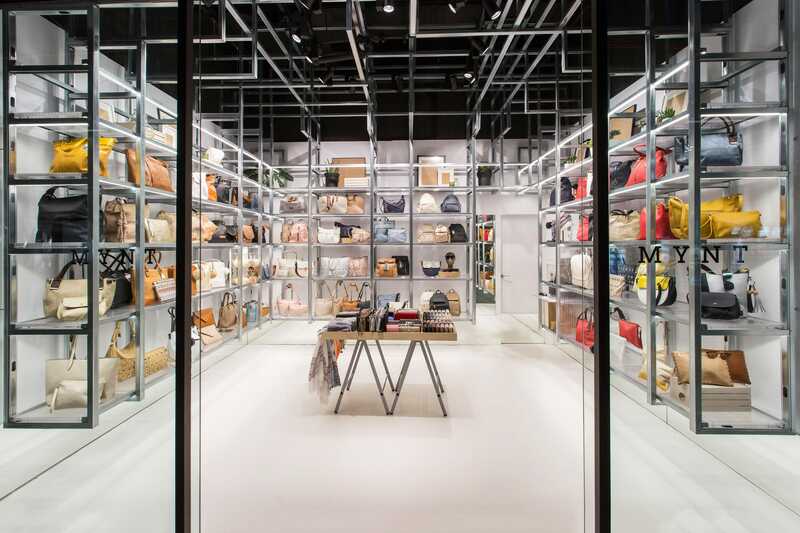 The whole store works as a showcase window and acts as a lure for the visitor. The double height façade allows to visualise the structure which wraps the visitor once is inside. To strengthen the grid visually and achieve a bigger contrast, the ceiling was painted in black so the galvanised steel structure gets emphasised. On the other hand, the lower area was painted in white so the product gains relevance.